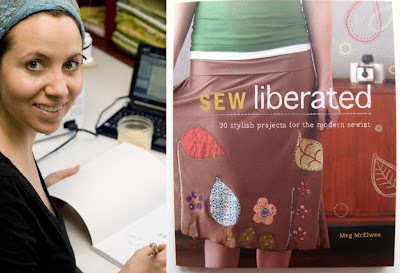 I'm so delighted to be one of the stops on the tour of the newly published Sew Liberated 20 Stylish Projects for the Modern Sewist by Author/Designer Meg McElwee. After three years of teaching Montessori in rural Mexico, she and her husband returned to the states to focus on her pattern business and begin a family. I have watched this past year, with pleasure, as she gracefully transitioned into motherhood and now a published author. Meg and I share many loves: early childhood education, sewing, Mexico, apple galettes, burlap buckets, strong black tea... the list goes on. As a peer and friend, I've been curious about how she has been keeping up with it all. So please go grab your cup of whatever makes you happy and let's begin! Maya: How do you find balance in your daily life with an infant, while still blogging, creating & releasing new patterns, and writing books? I'm exhausted just writing the question! Meg: Oh Maya, sometimes it's a real struggle to keep all of these balls in the air! There are days and weeks when I feel pretty confident in my ability to get things done and get them done well, and there are days and weeks when I don't get much done at all. I have a little mantra that I repeat to myself often: “One person can only do what one person can do.” I try to let the rest slide off my shoulders and enjoy the plentiful moments of peace and laughter peppered throughout any given day. But let me focus on the laughter – this, above all else, keeps my family happy. 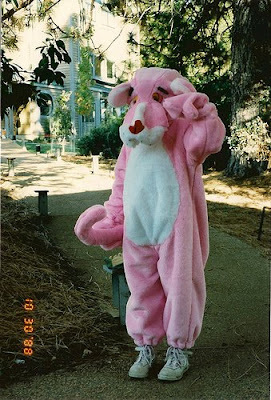 I'm fortunate to have married a very funny man, and our son seems to be following in his footsteps! There's more to my partner than wit, though – he also is a full time co-parent and spends half of each day caring for our son while I get work done. Later in the evening, when I'm going through the bedtime routine with Finn, he is busy packing and shipping patterns and keeping up with the accounting and web site maintenance. I could never accomplish all of this flying solo – the secret behind my productivity is teamwork. Maya: Has your creative process changed since your son was born? 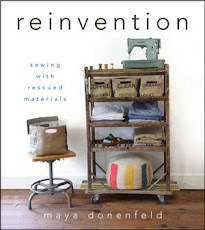 Maya: In Sew Liberated's introduction, you spoke about your mother's love for fabric. How did fabric and sewing play a role in your early years? As a mother/sewist, what memories would you hope to give to Finn? 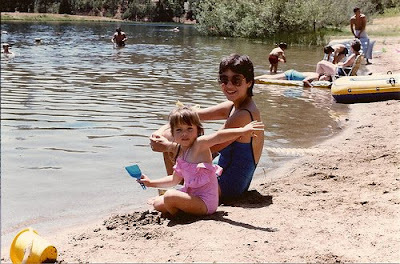 With my Mom, everything was possible. I'd like to think that she passed on this attitude to me, and I would love to pass it on to my own children. Maya: In which ways has your Montessori background influenced your designs for children? Meg: My training as a Montessori teacher has hugely impacted my designs (and my life!) Sewing for my students is what started me on this road as a sewing pattern designer. But more than that, my Montessori background makes me a child-focused as opposed to adult-focused when I am coming up with patterns for children. There are many lovely patterns on the market that are made to appeal to an adult aesthetic (lots of frills, clothing made out of fabric that isn't comfortable) rather than a growing child's needs. When I come up with a design for children, I think of three things: it needs to be comfortable, conducive to unrestricted movement, and able to be put on and taken off by the child (or adult, in the case of babies) with little frustration. For example, all of my child's apron patterns are front-closing instead of tying in the back, and my clothing designs are simple and comfortable, putting the emphasis on the beauty of the child, not the frills surrounding the child. Maya: Where do you draw your inspiration from? Meg: My inspiration is a many-headed fountain. My tastes are (and have always been) somewhat eclectic. I am moved by a more reserved palette and simple lines of European clothing design, but I am also completely at home with rustic/folk elements. My home reflects this duality, mixing modern thrifted elements with very homey, elaborately embroidered and appliqued details. Maya: You've been very busy and have another book on the way, can you share a little bit about it? 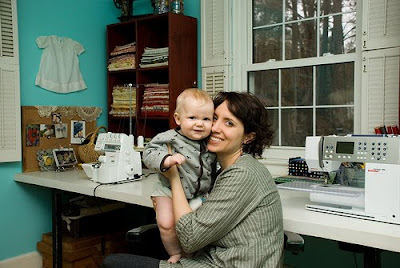 Meg: I'm so very excited to be writing my second book, which is tentatively titled Growing Up Sew Liberated: Over 30 Sewing Projects for the Daily Rhythm of Childhood. This book is so close to my heart, as I get to pour myself into every page – from sewist to mama to passionate educator. Each chapter will represent a time of day: morning, sharing food and keeping the home, inside play, outside play, and bedtime. Each sewing project is accompanied by a suggested activity, all keeping in mind my Montessori background and my newly discovered interest in Waldorf educational methods. 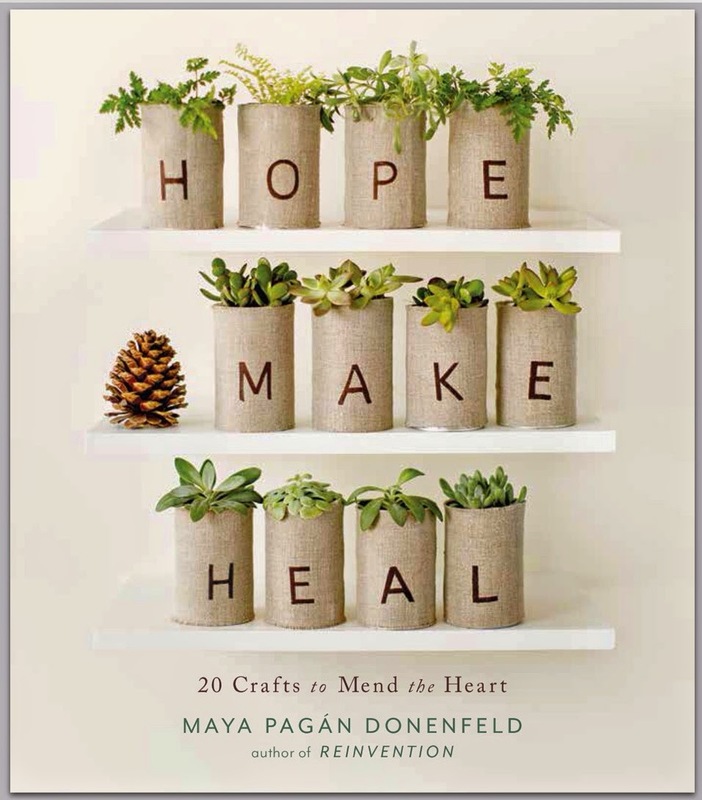 The resource section alone is a joy to write, and I hope that this book is something that will be useful to all parents, even those who might not have considered sewing for their children. Maya: It sounds absolutely wonderful! Although you probably don't have much time for blog reading these days, could you share a few of your favorite sites for sewing, parenting, or crafting. We all love new links to follow! Thanks so much for your thoughtful answers, Meg! I'm really looking forward to diving into some more projects from your book. If you missed yesterday's post, please see my daughter's blossom blouse from p.81 right here. 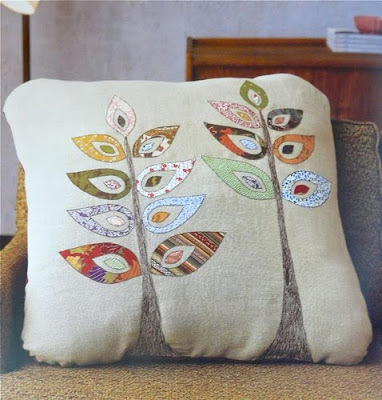 i so love the pillow! i am a tree freak and paint a lot of them in my art! wonderful and good luck! Thank you for another year of inspiration...looking forward to more in 2010...Happy New Year. Happy holidays, may 2010 be your best year yet! awesome interview, Maya. I love to hear how other mamas manage to balance parenting and creating. What a fantastic interview! I really got a sense of her process and how she manages to balance her work with her family. Very inspiring! I love the idea that she is incorporating both Montessori and Waldorf principles into her parenting and crafting. I'd love to hear more about that. That was an inspiring interview as our family also works each day to balance our handwork business and our six children and homestead. She is so talented and her next book sounds really great! i'm so excited to hear that meg already has a second book in the works. the first is on my wish list this year. i'm so looking forward to getting lost in it. i really appreciate her perspective on balancing work and home. it's a reminder to us all to take a long hard look at what really matters. thank you both for this interview. i enjoyed it.